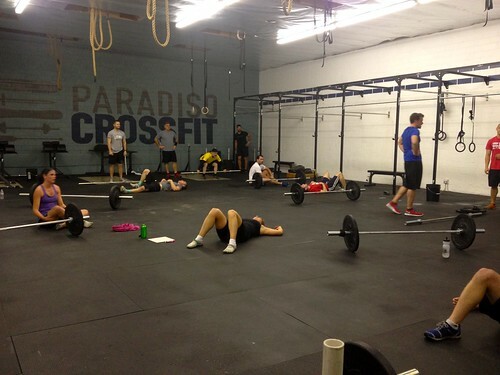 Home » WOD Blog » Let the fun begin! EIE Challengers! Come on down to SaMo High School at 5:30 tonight! We will be running a 1 Mile Time Trial! Notes: These do not have to be ‘touch and go’ reps; quick reset if you drop it from the rack. If you did not perform your 1RM Clean and Jerk for the Challenge, do that instead! 2 min Max Handstand Hold (with perfect form)! Notes: These should be heavier than you can perform ‘touch and go’ reps; a quick reset after you drop it from the rack. If you did not perform your 1RM Clean and Jerk for the Challenge, do that instead! Prep week is in full swing! For some of you, your EIE Challenge has already begun, and some of you still have one toe in the water as you decide whether or not to jump in. Excuses, excuses (we’ve heard them all)…..just do it. Knowing how to feed yourself is a basic life skill. Our hope is that over the next 6 weeks, you will commit to learning this skill just as you would Olympic lifting, running or gymnastics. Everything is everything. If you can read, you can follow a recipe, and there are a ton out there (just google paleo recipes). Personally, I like to keep it simple, but I still have to plan. I usually cook enough food on the weekend to last most of the week. Leftovers are key! So start taking inventory of your kitchen now and make a list of things you might need. A good knife, a Vita-mix and a slow cooker will go a long way. Feel free to share your most coveted kitchen implement.